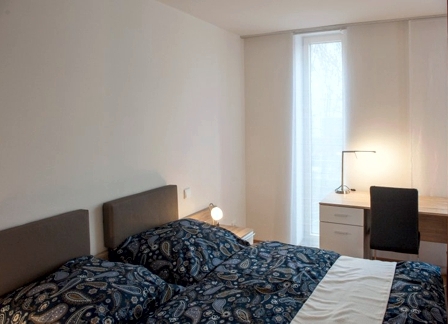 The modern furnished apartments and are between 24 to 30 qm² in size. 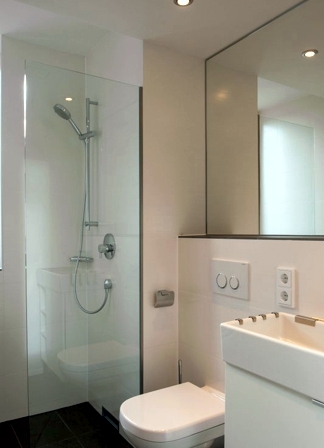 Each apartment is divided into kitchen, living and sleeping area with a separated bathroom. 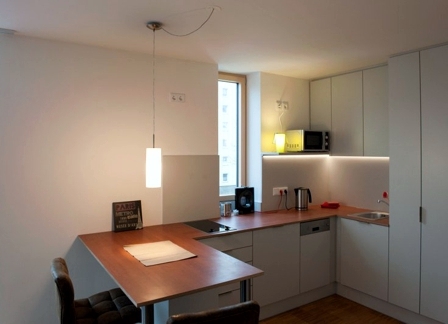 In addition, we provide for each apartment a hair-dryer, television set with a SAT access and free Wi-Fi. A washing machine and tumbler are available in the house. Underground parking space is available on demand. 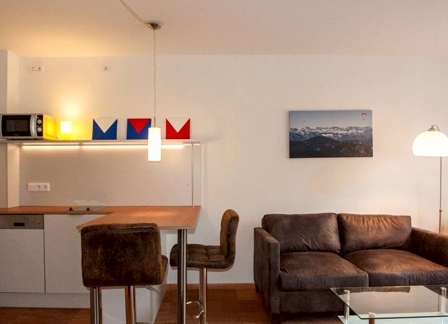 The apartments’ special features are the cosy room layout and their large window panes. 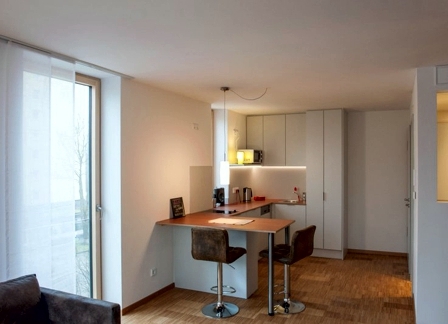 The apartments are within spitting distance (2 minutes walk) to the public transport station (S-Bahn Lohhof). 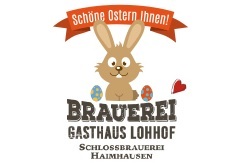 Next to our house and the restaurant ”Brauerei Gasthhaus Lohhof“ there is a lovely bakery shop available. The borough of Lohhof is special, due to its numerous internationally known business headquarters.